AMITY JEE 2018 is an entrance exam for admission to B.Tech programs in Amity University. The Application process has started, candidates willing to appear in Amity Joint Entrance Exam (Amity JEE 2018) can apply online. 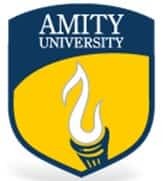 AMITY JEE 2018 conducted by Amity University, will be a Computer based test which will be conducted in 22 states across the country. Admissions to B.Tech Programs will be through Joint Entrance Exam, AMITY JEE 2018 conducted by Amity University. AMITY JEE 2018 courses are available in the nine campuses across India. The BTech courses available in each campus is given towards the end of this page. This page discusses in detail about Engineering admission in various campuses of Amity University. 10+2 with Physics, Chemistry, Biology(PCB) / Physics, Chemistry, Mathematics (PCM) (min. 60% in class 10 & Class 12). Minimum 60% in PCM/PCB for the Non-Sponsored Category. Minimum 55% for the candidates belonging to the Sponsored Category. Eligibility criteria for Dubai: Class 10 (min 50%) & Class 12 (min 50%) with min 55% in PC. The student securing 80% or more in Class 12 board exam (CBSE/ISC/State-Boards of 2017/2018) are exempted from the selection process. Selection will be only on the basis of Amity Application Form. Amity JEE Application Form can be filled through both online and offline mode. Candidates have to visit the official website of Amity University or click on the following links to fill the application form. Candidates should also follow the steps that are described below to fill the application form. To download the offline application form, candidates have to fill some details on the registration form such as Name, Mobile Number, Email ID, and Program & Address details. STEP 1: Basic Details: Candidates have to fill the basic details such as Name, Email ID, and Mobile Number before filling the application form. STEP 2: Program/Campus Name: In this section, candidates have to select their choice of program and campus. STEP 3: Personal Details: Candidates have to fill their personal details such as Name, Gender, DOB, etc. STEP 4: Education Details: After filling the personal details, candidates have to fill their education details such as qualifications, marks obtained, Name of Board/ University etc. STEP 5: Family & Other Information: Candidates have to fill their family details in this section. STEP 6: Upload Documents: Candidates are required to upload the soft-copy of class 10 mark sheet and recent colour passport size photograph in the application form. Candidate can submit their duly filled in application form through both online & offline mode. Candidates are advised to take a printout of their Amity JEE 2018 application form for future reference. Candidate applying offline has to make the correct amount of DD in favor of 'Amity Form' payable at New Delhi. Applicant must mention their Name and Amity Application Form Number at the back of the Demand Draft. Candidate paying online must note the transaction number for future reference. More than one payment is rendered for one application. The application fee is paid online but the candidate did not get the application form due to connection failure and the university has not provided softcopy of the application form. The application form can be submitted through both online and offline mode. In the case of offline, candidates have to send the filled application form along with the demand draft (if not paid online) to the respective campus you are applying to. The slot booking for AMITY JEE has started. The students can now choose the exam venue and the slot for appearing in the exam. The steps to book the slot for Amity University are as follows. The candidates have already selected the Exam Date and Exam City at the time of filling the application form. Slot once booked for Admission Test and submitted, cannot be changed. There is only one CBT Slot option for every application. The candidates should generate your CBT ID Proof from Amity micro-site and paste their recent passport size photo. You need to carry this ID Proof (or any other ID proof like Voter Card / PAN Card / Driving License / Passport / 12th Class School ID Card etc.) to the Test Centre for an Identity check. Generate your Amity Admit Card from the CBT Scheduler (and paste a recent photo) and carry with you to the Test Centre for taking the exam. In the absence of ID Proof and CBT Admit Card, you will not be permitted to take the CBT. You must reach the Test Centre at least 30 minutes ahead of the scheduled time. AMITY JEE 2018 admit card will be available to download from before the commencement of Amity JEE 2018 onwards. Candidates need to take the print out the admit card and bring it to the examination center. Candidates must keep the admit card carefully. Candidate must note that annual fee structure of B.Tech courses in Amity University is different for different specializations and Institutes. AMITY JEE will be a Computer based test. There will be 90 multiple choice question carrying four marks each. Four marks would be awarded for each correct entry and one mark will be deducted for every Incorrect entry. No marks would be awarded if more than one choice has been selected for any question. Approximately 1.25 minute per question on an average is required for the solution of each question. Candidates who are going to appear in the Amity JEE examination should follow the test syllabus and must check the sample paper. The Amity JEE sample paper and syllabus will help the candidate to perform well in the examination. Candidates can click on the following link to view the sample paper and test syllabus. AMITY JEE 2018 will be conducted across 22 states across India. B.Tech candidates are advised to choose the exam center and Exam date by logging on to the Admission Microsite.